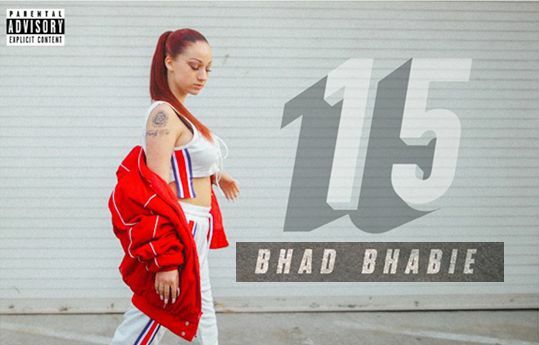 The new mixtape from Bhad Bhabie is titled 15 and is currently online to stream,either from Apple Music, Spotify and some of the popular streaming service that we all know about. This Mixtape is a tremendous project which Bhad has been in studio just to make sure the project is not a crap work but haven given it the best she then decide to unleash the work which is already done. Bhad Bhabie might not be a prestigious rapper to most of you guys but you uncovering her lyrical platform whenever she raps will definitely give you a reason to love Bhad.The Mixtape is a pretty work done with limited tracks,about fifteenth songs are penned and with some guest appearance that happen to Asian Doll, City Girls, Lil Yachty, YG, Lil Baby, and Ty Dolla $ign in a respective tracks. Her guested artists also enable the Mixtape to reach the substantial level which Bhad Bhabie was happy about at least songs in the 15 Mixtape will likely electrify fans after listening to “Juice” “Gucci Flip Flops” “Geek’d” and “Trust Me.” Those are songs that welcome the above mentioned artists in the Mixtape.Stream it below and tell us what exactly you think.